Click on the first image for a slideshow of the project. 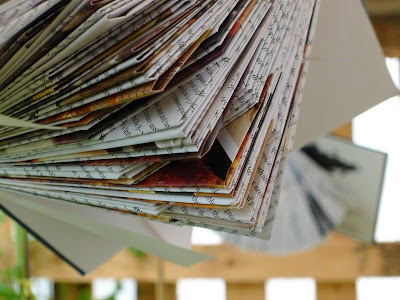 Or read on to find out what happened. 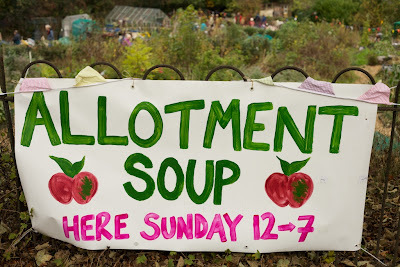 After much planning and hard work by lots of people Allotment Soup 2011 took place on Sunday 22nd October 2011. 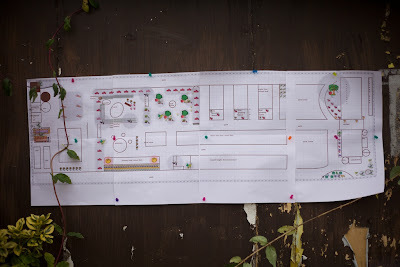 On the day visitors were welcomed with a guide to the day with a map of the site including the artworks, the plots and the activities happening. 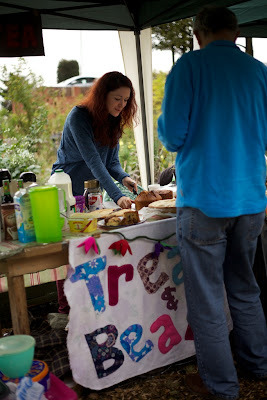 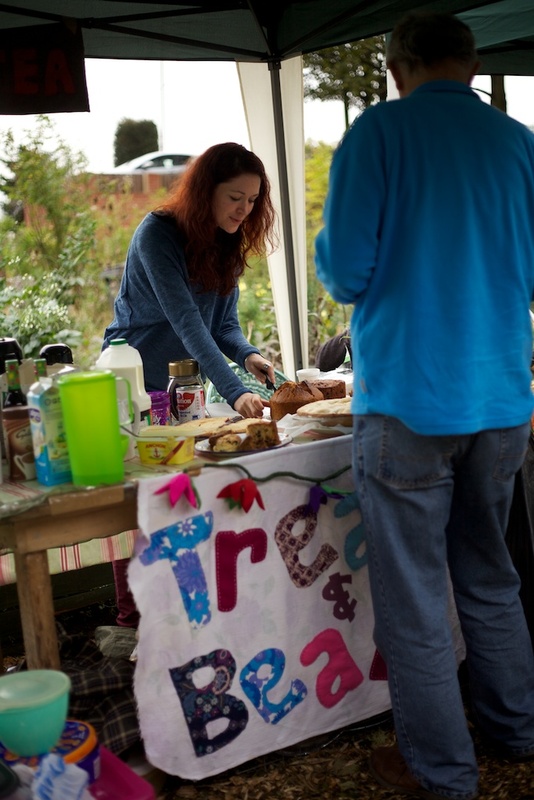 The lovely ladies from The Treats and Beats Cafe served hot drinks, cakes and of course lots of soup all day long. 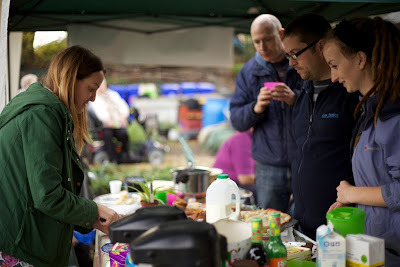 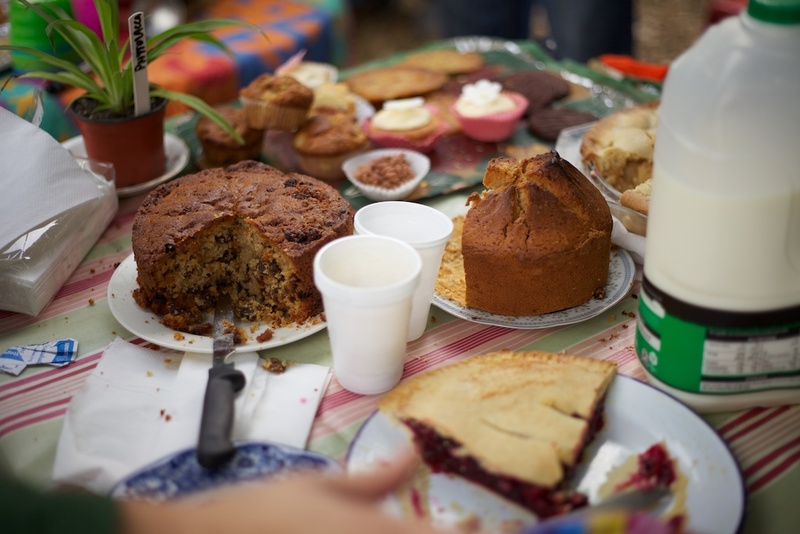 The food was made and contributed by many people and the cafe a huge success. 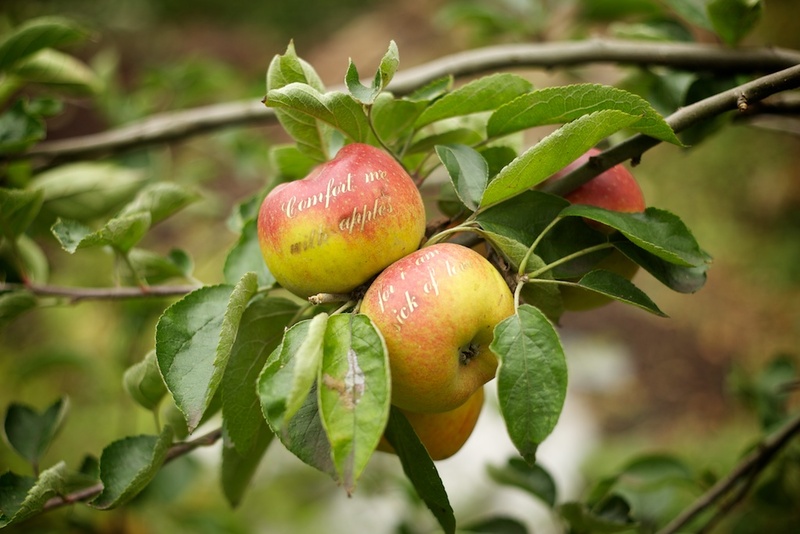 Karen Logan: Text work on apple celebrating the myth and folklore that surrounds these marvelous trees. 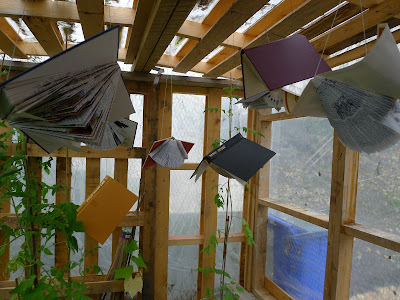 Charlie Hill: Installation. Folded books recreate a sense of birds flocking together to migrate. 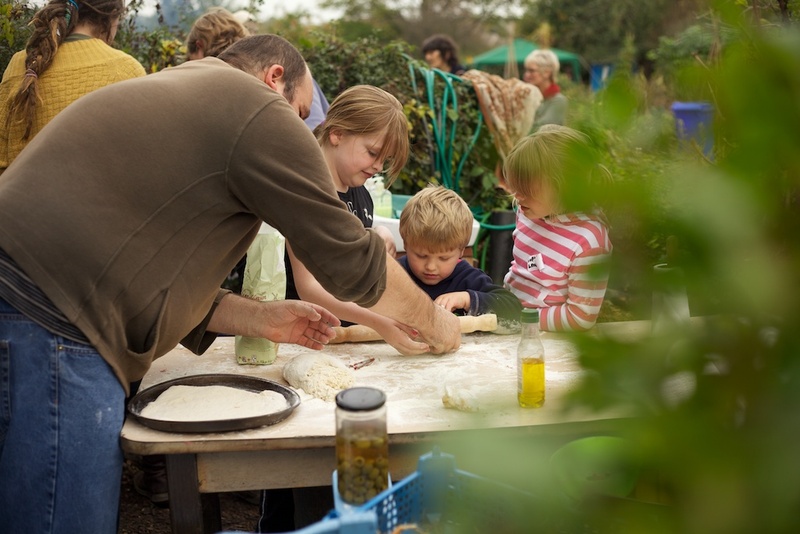 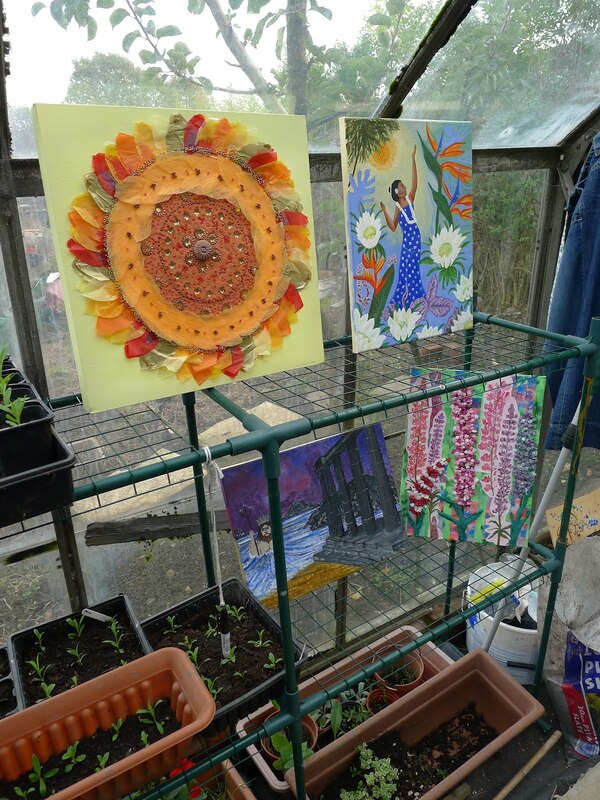 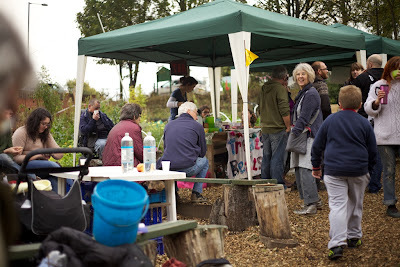 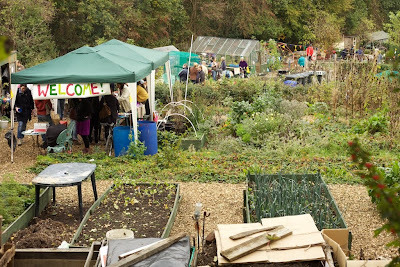 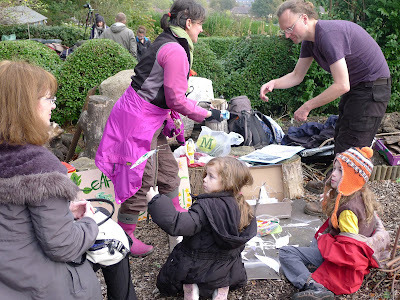 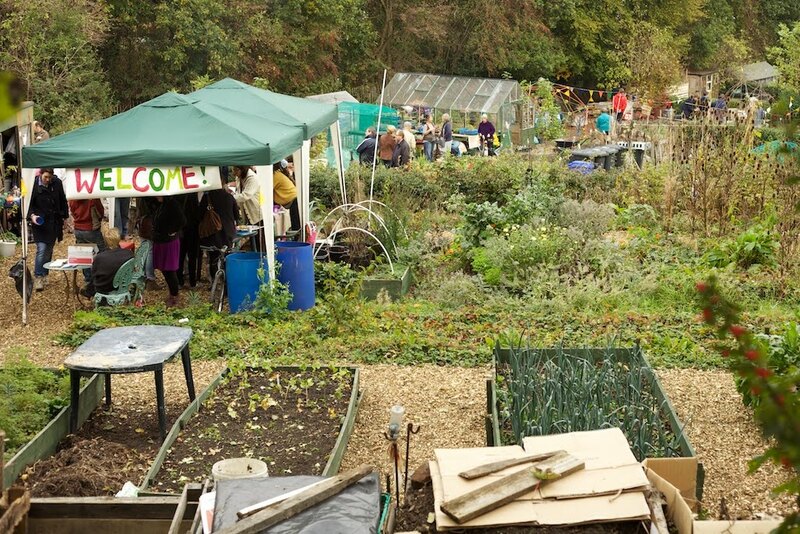 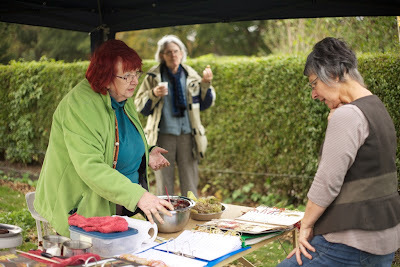 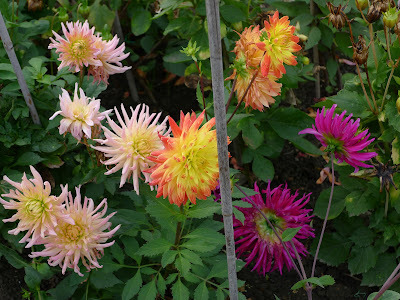 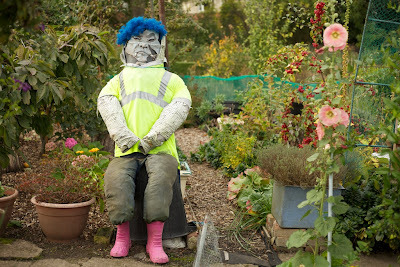 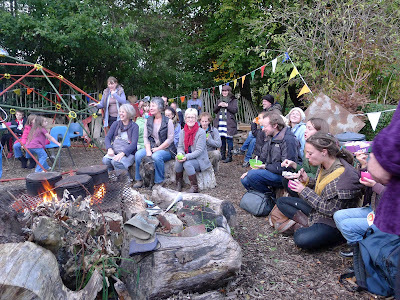 Over 250 people visited the Norwood Allotments on the day and there was a great buzz as people explored and joined in. Artworks celebrated the theme of seasoning. 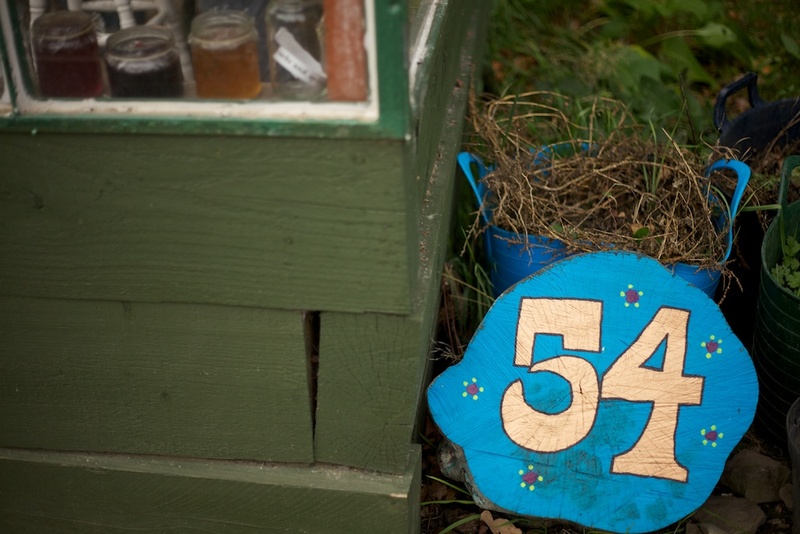 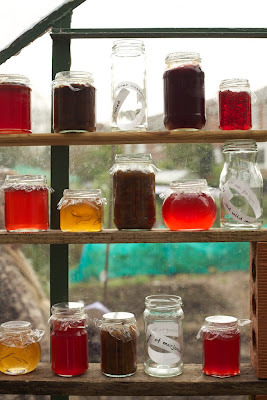 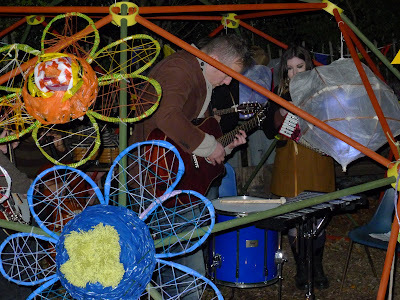 Artel: Greenhouse installation featuring jams, jellies and quotes about herbs and spices. 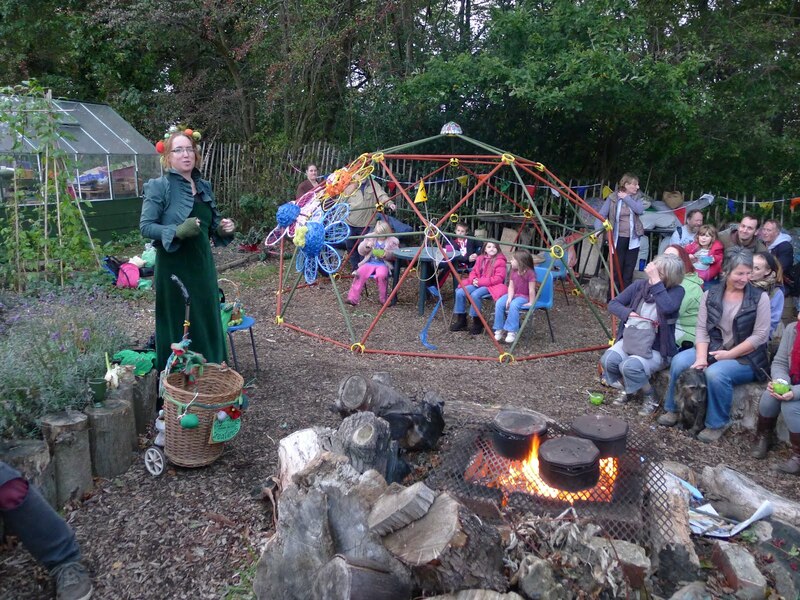 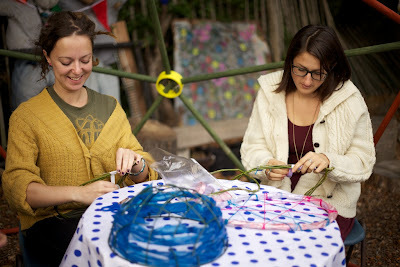 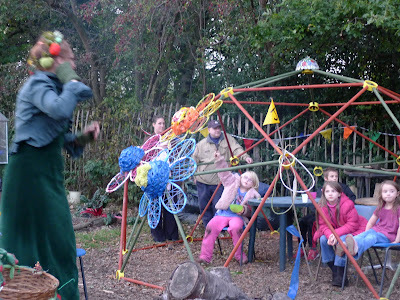 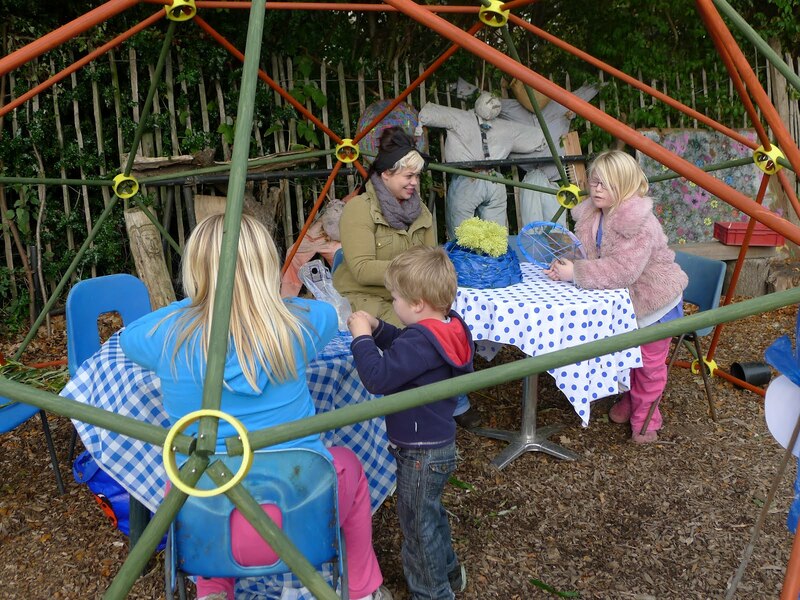 Caroline Gaytor hosted a drop in workshop in the new geodesic dome making huge flower sculptures from recycled materials. 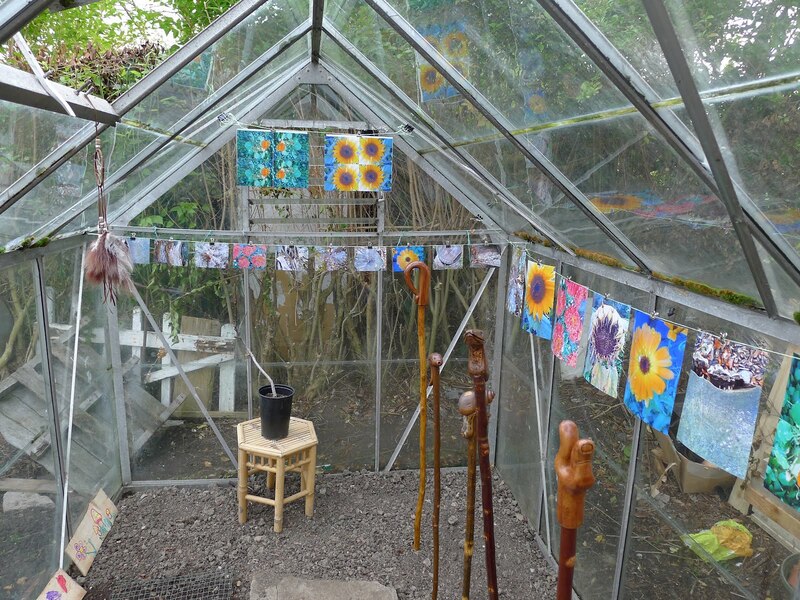 The flowers now adorn the dome. 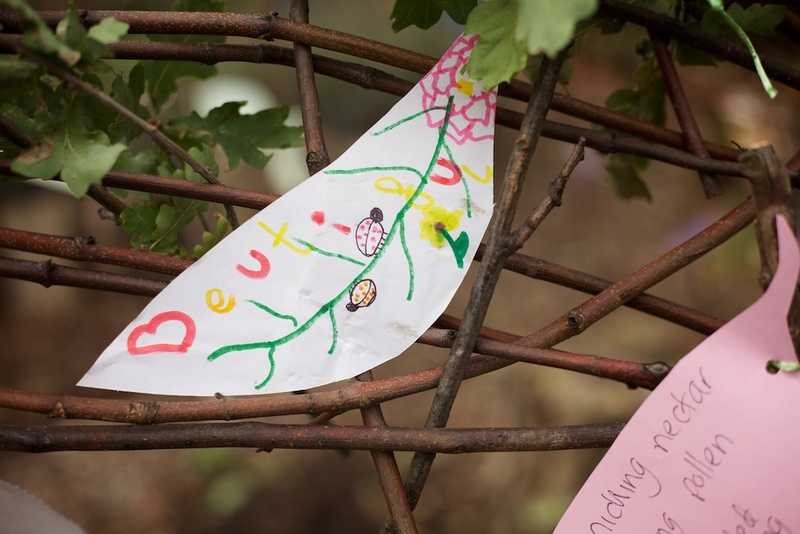 Artists Trevor Tomlin and Chrystine Moon ran a collaborative poetry writing workshop from the willow den, installing the writing around the den. 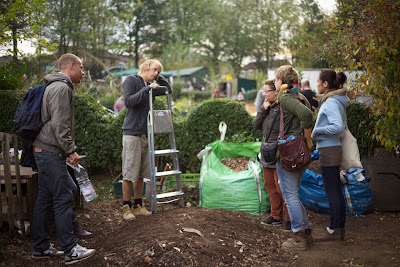 Students of Architecture from Sheffield University worked at the site for the month before the Soup as part of their LIVE project. 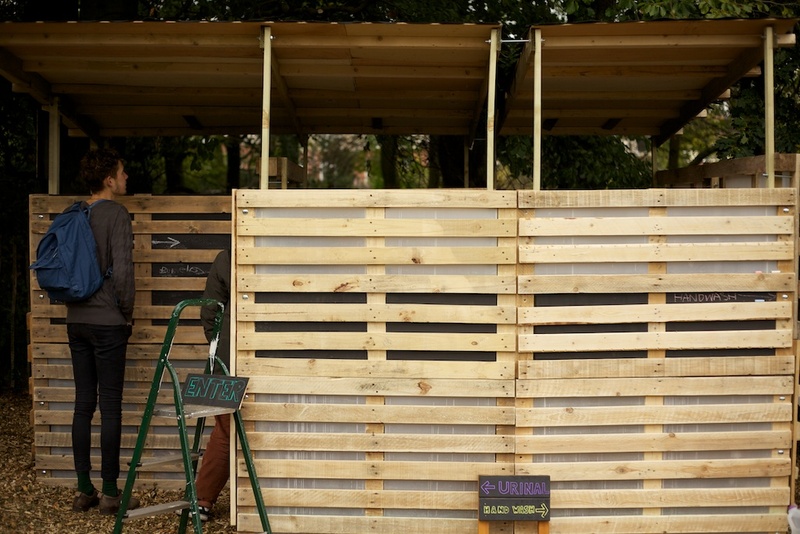 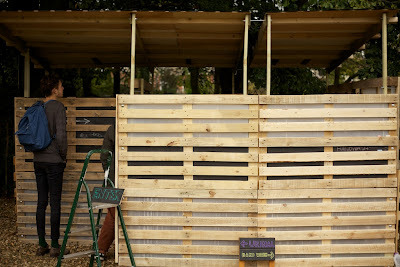 The created a functional, ecological composting toilet set up which was showcased for the first time at the event and now resides on the site. 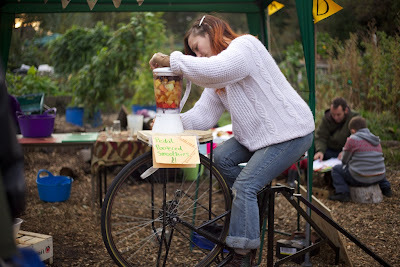 Saskia Peet hosted the cycle power smoothie maker. Inviting people to create delicious fruity treats without the aid of electricity. 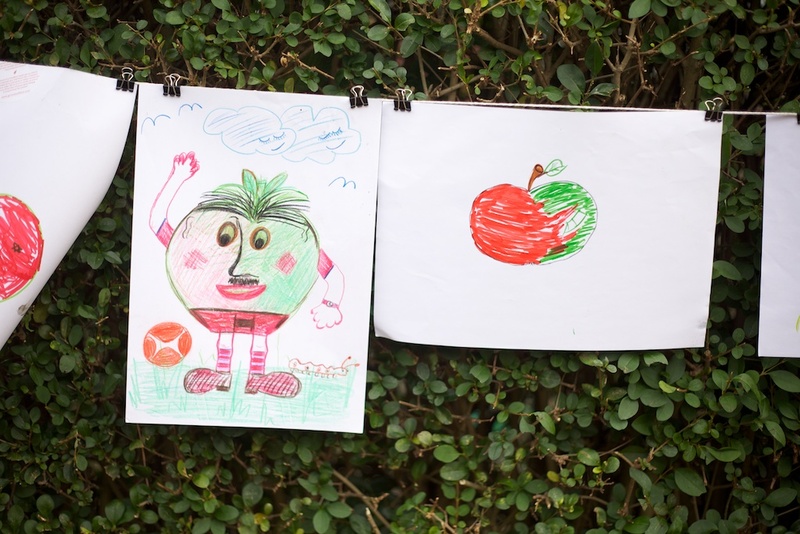 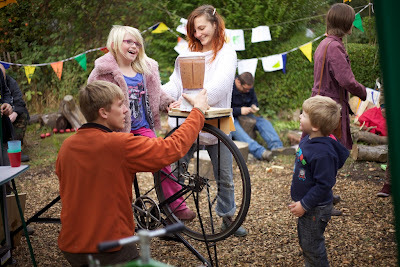 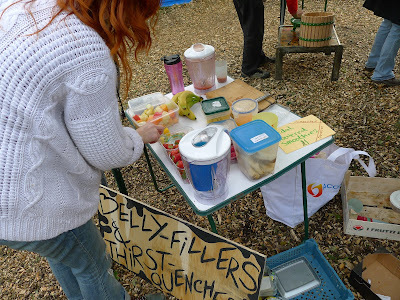 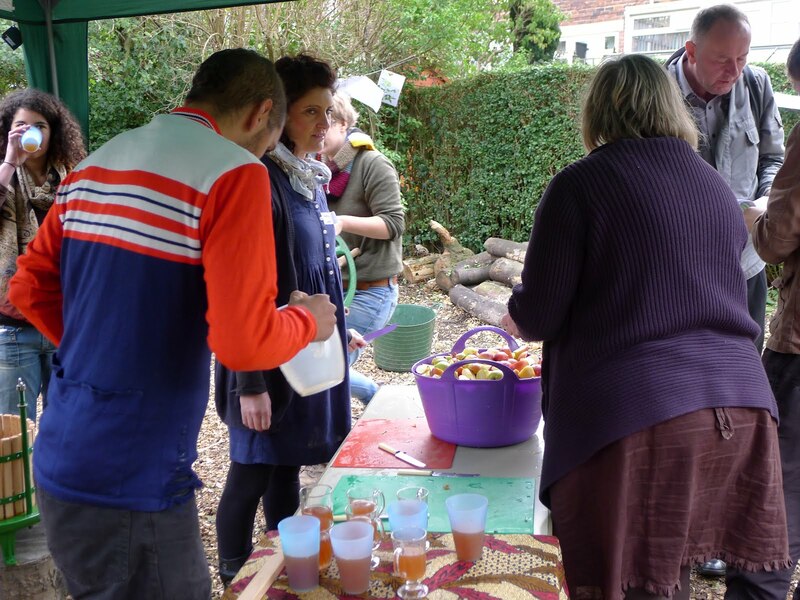 Grow Sheffield and Abundance pressed apples, gave out fresh juice, invited people to contribute apple art and informed people about their work harvesting fruit trees around the city to distribute to local schools, community centres and more. 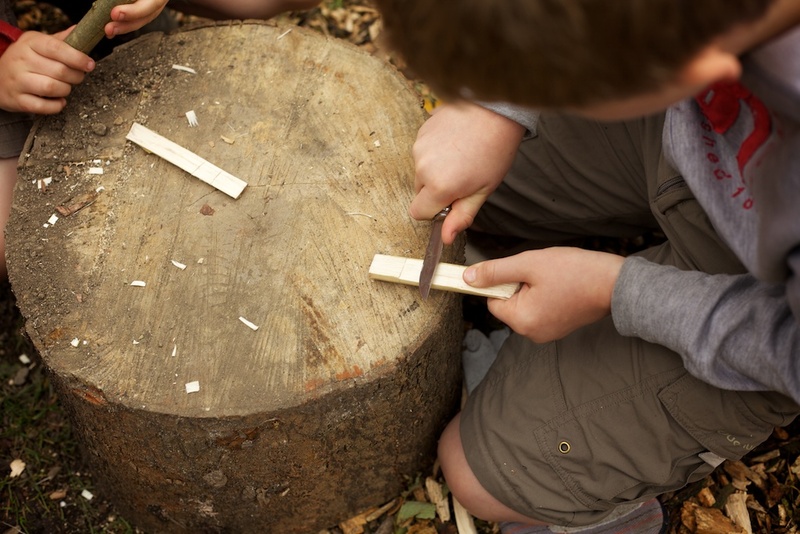 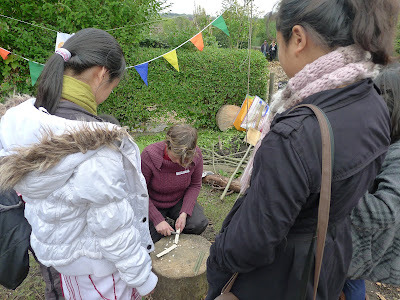 Coralee from Grow Sheffield ran and whistle whittling workshop, working with children to create a whistle from wood. 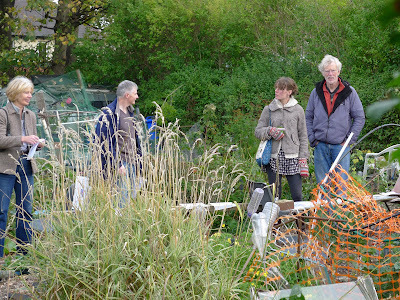 Plot holders generously opened up their plots for visitors to look around. 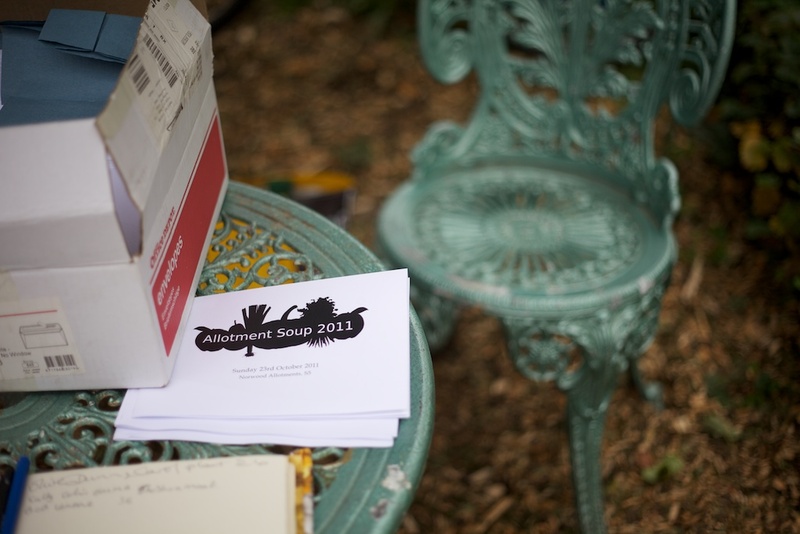 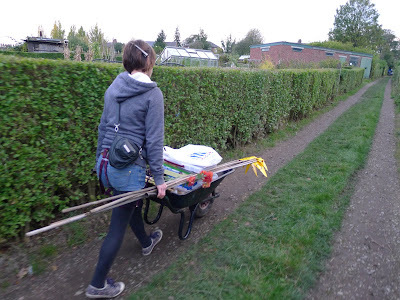 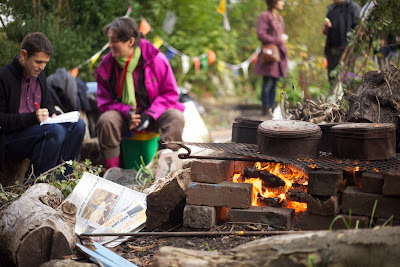 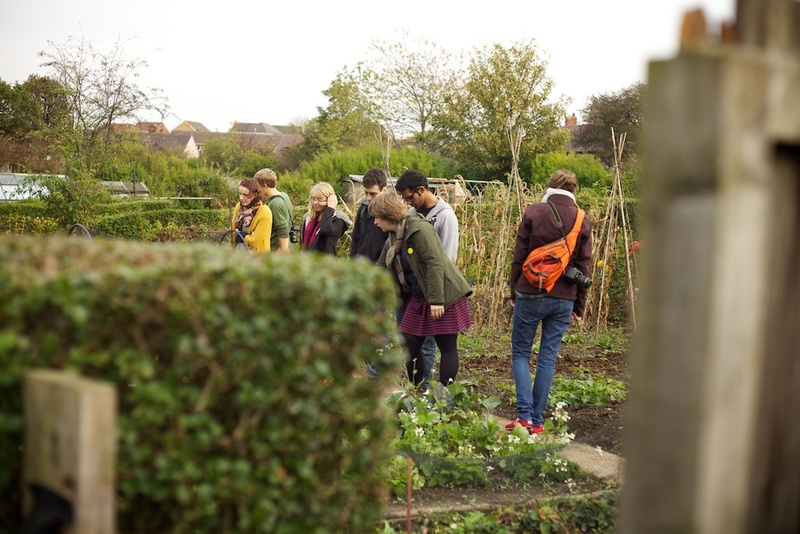 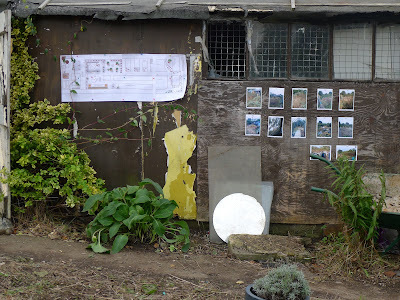 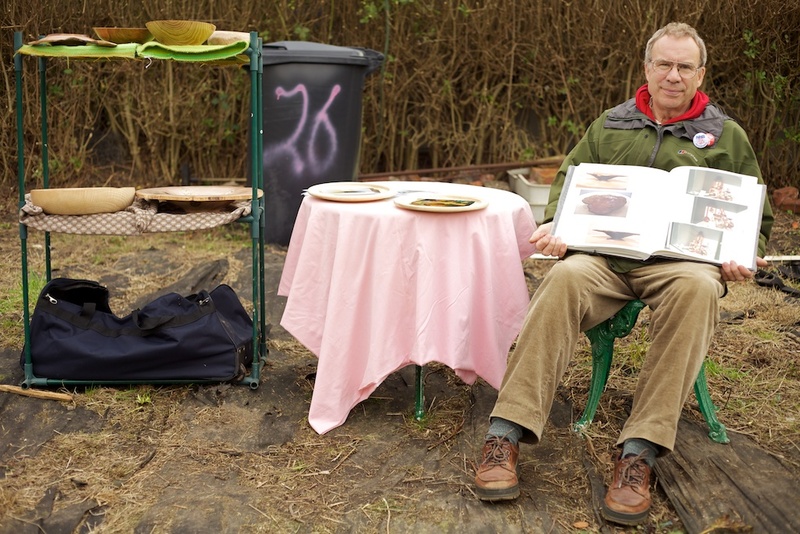 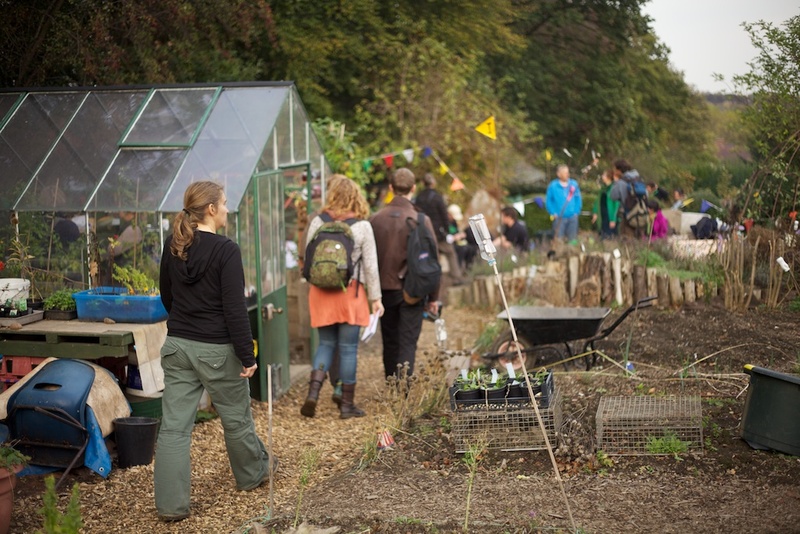 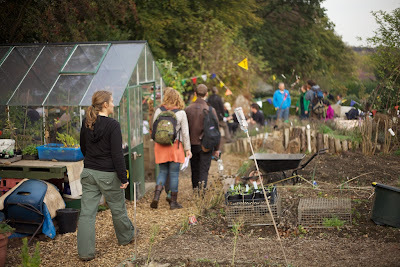 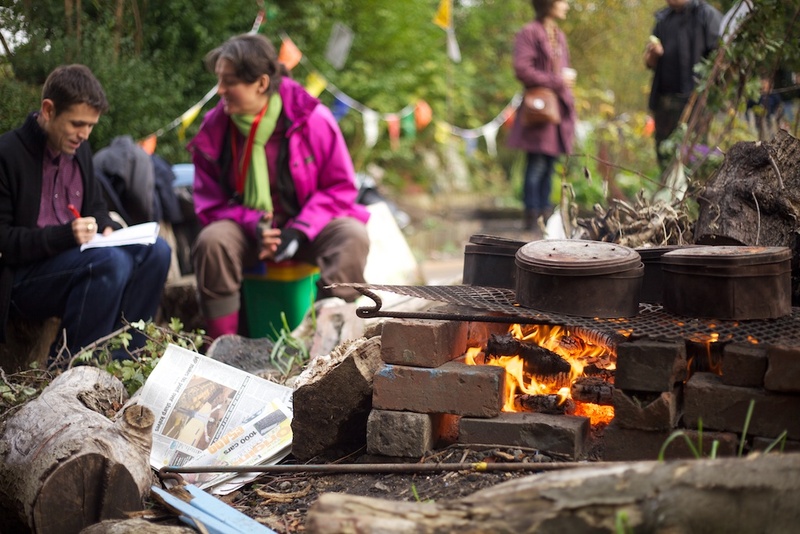 Giving people a, for some rare, glimpse into the world of allotment culture. 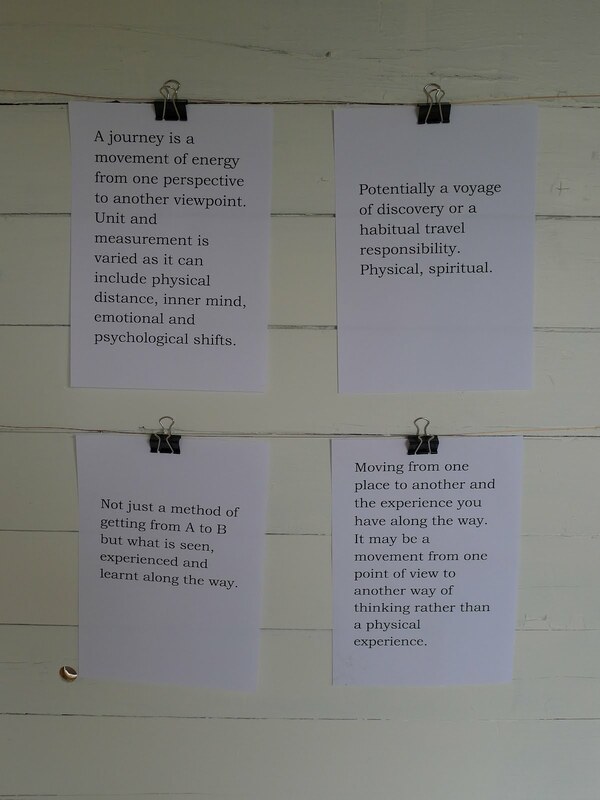 The Lisen Profile Travel Journal, a collaborative participatory journeying project which took place across the S5 area of Sheffield at venues including LEAF. 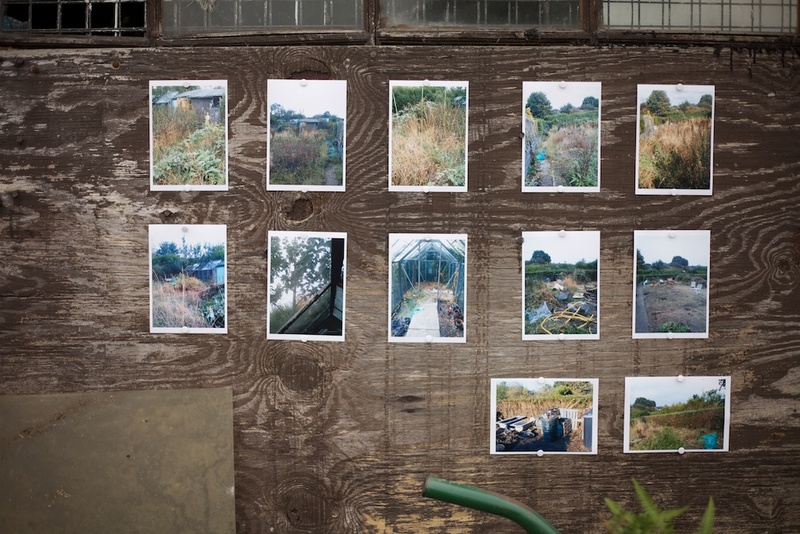 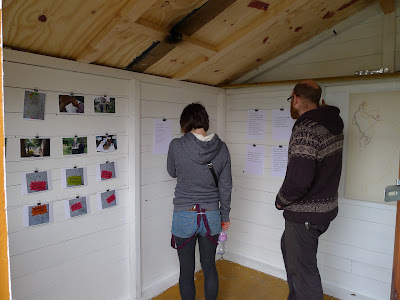 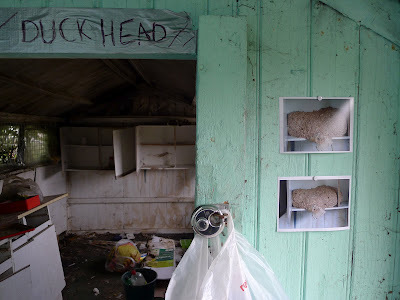 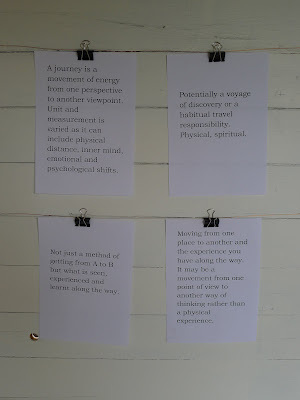 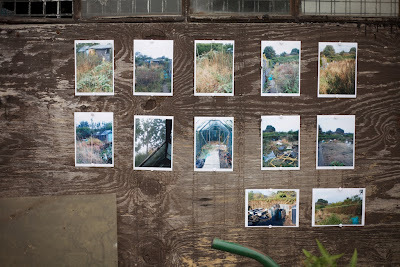 An installation of photos and writing from the project was installed alongside the final stitched work in a shed gallery on site. 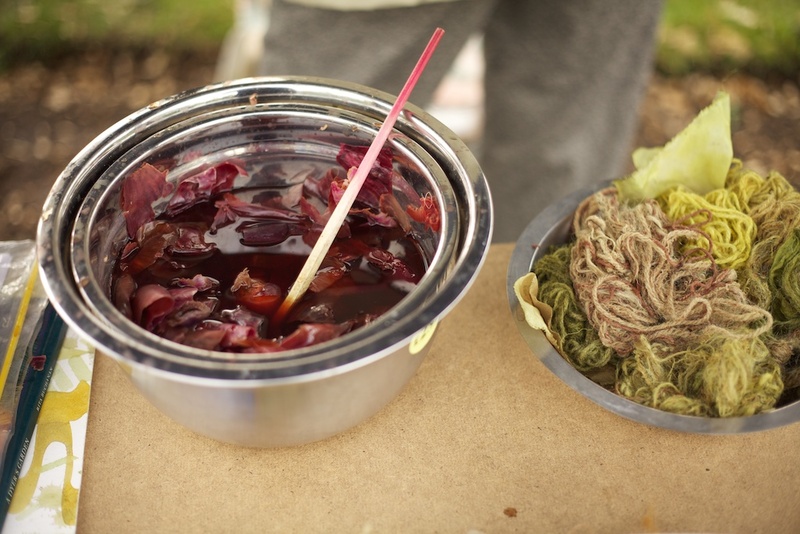 Natural dying expert Helen Neale talked to passers by about her work creating natural dyes from plants around Sheffield and the processes used in this amazing craft. 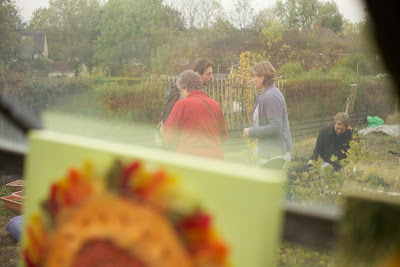 Ruthie Ford: Out of Season. 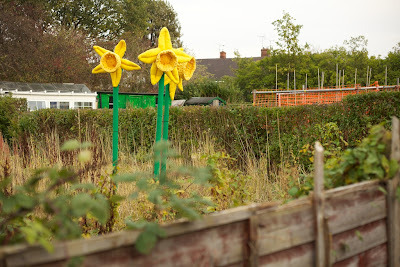 Giant daffodils growing on a disused plot. 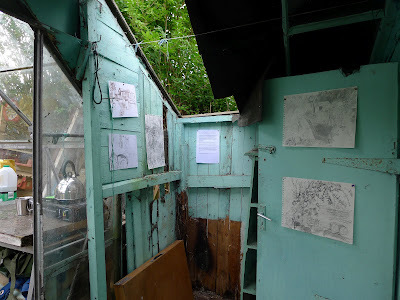 A reporter from The Star newspaper came and joined in the day, interviewing artists and visitors and wrote a lovely review of the day which you can read here. 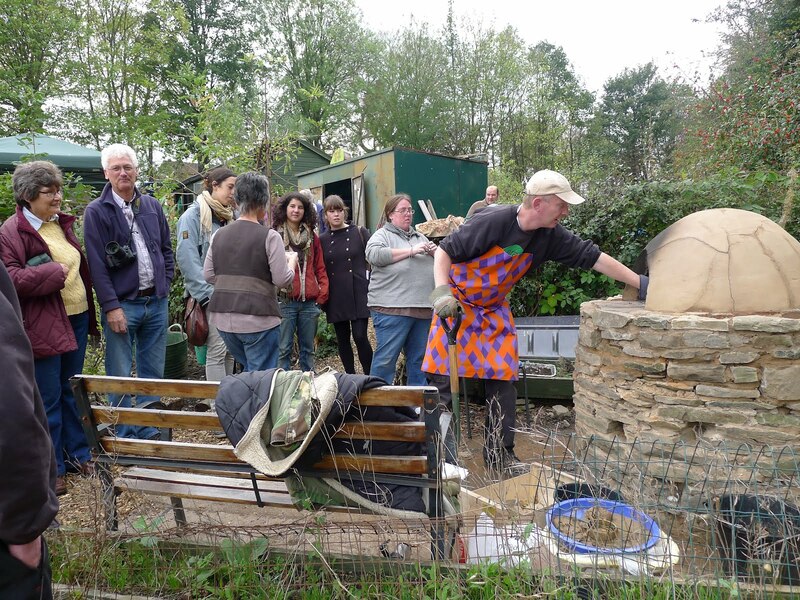 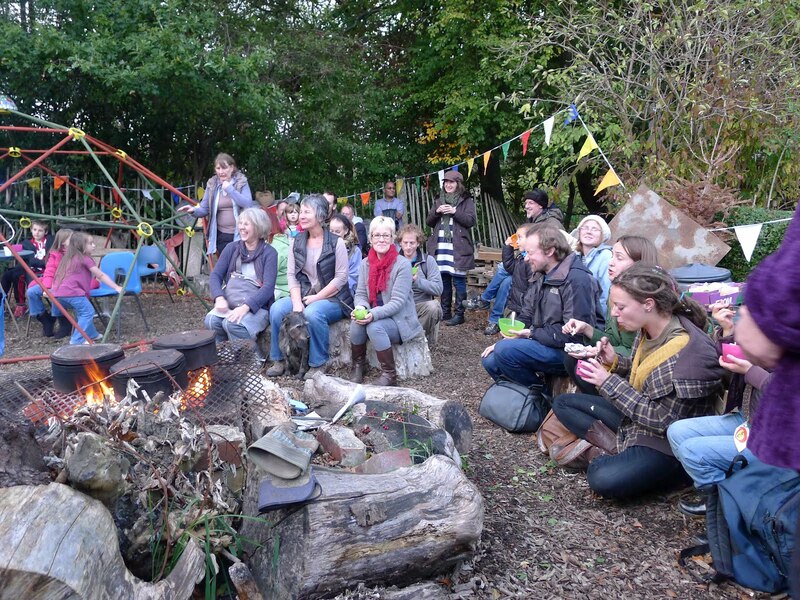 LEAF Allotments Nick Ward was responsible for the new LEAF woodfired pizza oven, built by volunteers on the site. 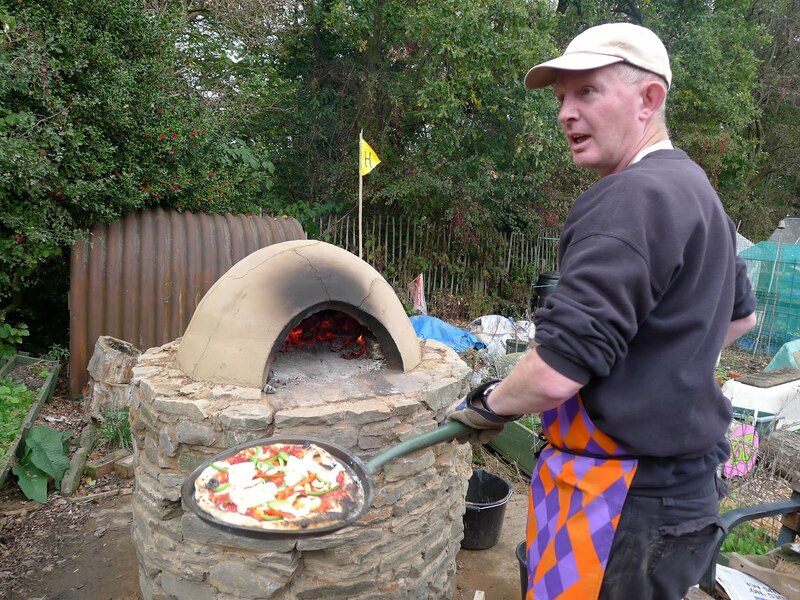 He entertained the crowds with with the pizzas taking just 90 second cooking time. 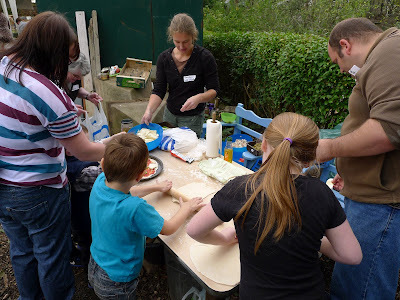 Nick cooked over 40 pizzas in just over an hour which were shared and enjoyed by all the. 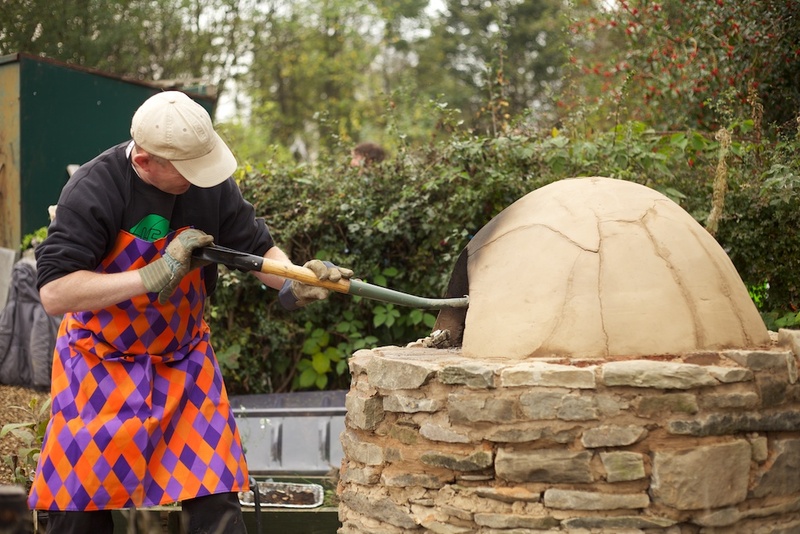 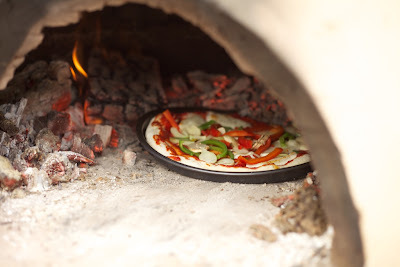 The Pizza oven was a massive hit all round! LEAF volunteers of all ages work hard to make enough pizzas to keep up with Nick's rapid cooking tine! At 5pm the artworks were packed away and the fire lit. Potatoes were put on the fire to cook in tins. And Madame Zucchini arrived to entertain everybody with her fruit and vegetable theatre. As night drew in the tomatillo lanterns were lit and the remaining visitor ate hot potatoes and cheese around the campfire. 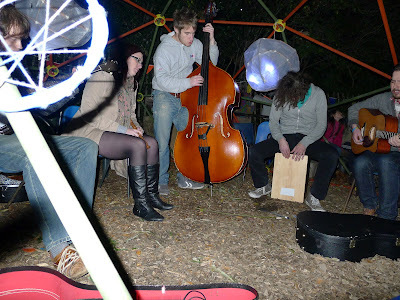 We were treated to two incredible, atmospheric accoustic band performances, first from Who Killed Cranks? 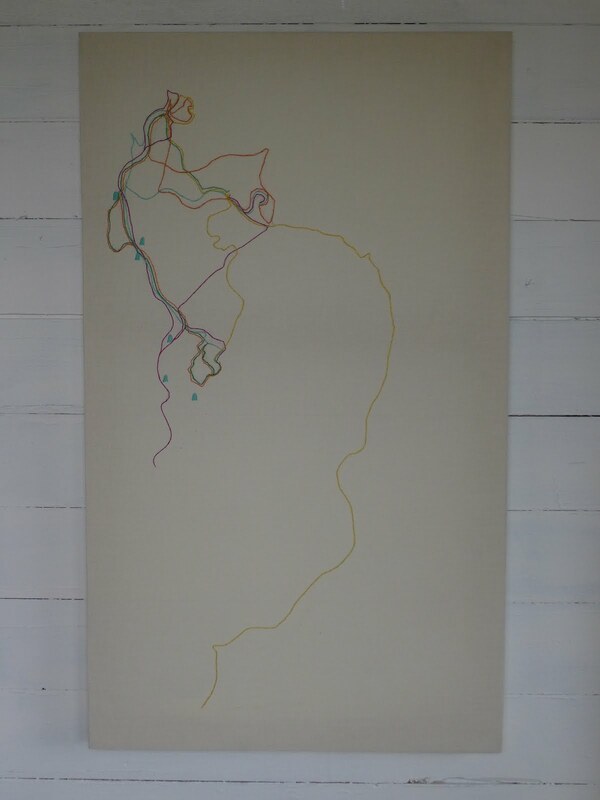 and then The Early Cartographers. 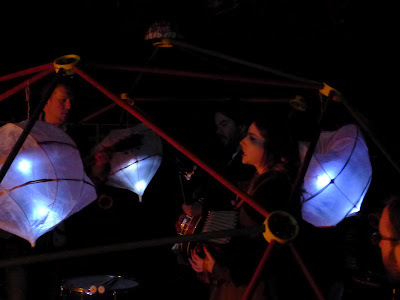 Both bands played their sets in the geo-dome in near darkness. 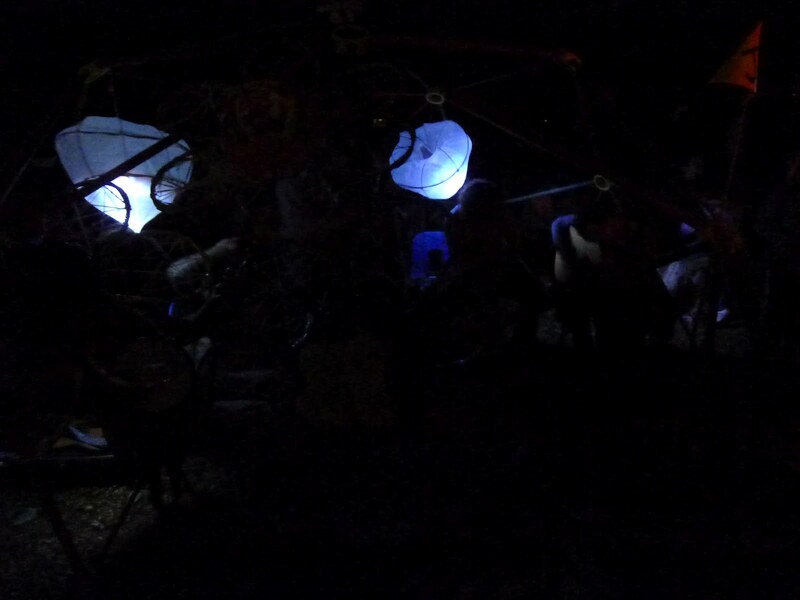 It was a really magical end to a wonderful day. 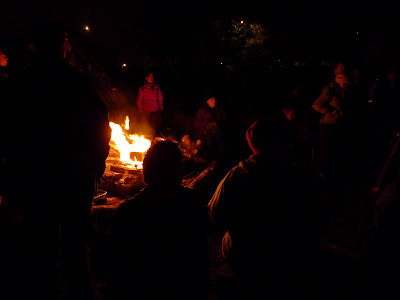 People stayedl out later than they planned to and everyone commented how nice it was to be outside at this time so late in the year.